Greetings from The 88 Project! We are bringing you news, analysis, and actions regarding human rights and civil society in Vietnam during the week of November 27-December 3. On November 27, journalist Nguyen Van Hoa, who covered the Formosa environmental disaster, was sentenced to seven years in prison in a secret trial without representation. Three days later, Nguyen Ngoc Nhu Quynh – Me Nam’s 10-year sentence was upheld on appeal, and her mother and supporters were assaulted outside the courthouse. International media and foreign governments widely condemned both trials. On December 1, the EU and Vietnam held their annual Human Rights Dialogue. Several international human rights organizations urged delegates to stand up for prisoners of conscience and activists at risk and reported on the series of arrests, attacks, and other threats to civil society in Vietnam in 2017. Vietnam also hosted the Vietnam Internet Forum this week in the midst of criticism from private companies and civil society towards its Draft Law on Cybersecurity. Read an interview with Mai Khoi, whose protest against President Trump triggered her eviction. And check out analysis of Internet control and religious freedom. This week, we remember land rights activist Can Thi Theu on the anniversary of the denial of her appeal and blogger and entrepreneur Tran Huynh Duy Thuc on his birthday. Please take action for Me Nam, who faces a decade in prison and poor health conditions. 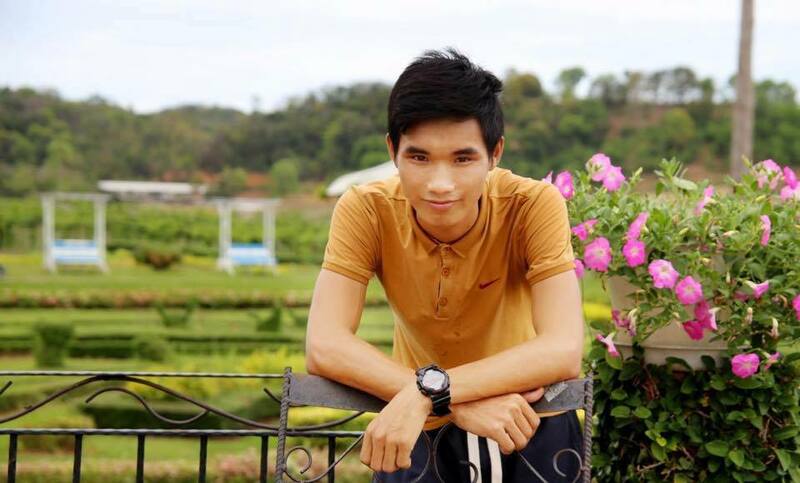 On November 27, 22-year-old journalist Nguyen Van Hoa was sentenced to seven years in prison and three years of probation under Article 88 after an unannounced, brief trial in Ha Tinh. Hoa had reported on the toxic Formosa environmental disaster that began in April 2016, sometimes using a drone. He was arrested on January 11, 2017 and had been held in incommunicado detention since then. His family was not notified of the trial, and he did not have a defense lawyer. For more information on his background and activism, read our profile, here. The appeal court in Khanh Hoa province upheld blogger Nguyen Ngoc Nhu Quynh‘s, also known as Me Nam, ten-year prison sentence on November 30. Quynh admitted to her activities but defended her right to free speech and maintained her innocence. Following the usual pattern for trials of activists charged under “national security” provisions, the trial was secretive and short, lasting only three hours. Supporters were prohibited from entering the courtroom. Her own mother had to sit in another room and watched the trial via video-conference. One of her defense lawyers, Vo An Don, had been disbarred just days before the trial. After the verdict, Quynh’s mother and several other activists and supporters protested the decision outside of the courthouse and were violently dispersed by pro-government thugs; police did not intervene to stop the attack. Several international human rights organizations and government officials, including the U.S. Chargé d’Affaires to Vietnam Caryn McClelland, have condemned the appeal denial. Both the denial of Quynh’s appeal and the sudden trial of Hoa came just days before the EU-Vietnam Human Rights Dialogue on December 1 and International Human Rights Day on December 10. Ahead of the dialogue, the Head of the Delegation of the EU to Vietnam spoke out against the upholding of Quynh’s sentence. Quynh’s mother had written to EU representatives earlier in the week, urging them to attend the trial, since Vietnamese trials of activists are frequently touted as being open. According to a press release after the dialogue, the delegation did discuss the “deterioration of civil and political rights” in Vietnam. “The EU expressed serious concerns about the extensive application of the national security provisions in Vietnam’s Penal Code and noted the steep rise in the number of detentions, arrests and sentencing of Vietnamese citizens related to the expression of their opinions.” The next round of human rights meetings under the EU-Vietnam Partnership and Cooperation Agreement will be held in 2018 in Belgium. Targeted for his activism, Truong Van Dung’s home was attacked with a mess of offensive materials this week, the second time in recent days. He often participates in peaceful protests against China’s sovereignty claims and other political issues. Last month, Hanoi police kidnapped him for a day-long interrogation about his connection with the Brotherhood for Democracy after he defied police summons. He also staged a protest calling on APEC leaders to not forget about human rights. He was put under police surveillance during the Summit and was locked into his home at night. The Vietnam Internet Forum took place in Hanoi from November 27-28. The event focused on Internet accessibility, transparency, and sustainability and included several governmental, multilateral, and private institutions. The Forum coincides with recent controversy surrounding Vietnam’s Draft Law of Cybersecurity. The law, initially proposed just days after the Chinese government passed its own cybersecurity law, is strikingly similar to the Chinese law. Both laws, for example, define the critical information that is to be protected in a similar manner, though Vietnam’s law appears to be broader. Both laws also directly target information that is considered dangerous to the respective governments. The Ministry of Public Security has stated that the drafting process of the law began in 2016 and that cybersecurity laws from Japan, the Czech Republic, South Korea, and the U.S. were also consulted in drafting the Vietnamese law. November 30 marked a year since land rights activist Can Thi Theu’s appeal was denied. Theu was sentenced to 20 months in prison in September 2016 for “disturbing public order.” She is very active in fighting against land grabs and forced evictions. Read her December 2016 letter to supporters after her transfer to a distant prison, here. Tran Huynh Duy Thuc spent his ninth birthday in prison on November 29. The blogger and entrepreneur is serving 16 years in prison under Article 79 — one of the longest known sentences for a current activist in Vietnam. He is the founder of a successful internet service provider company in Vietnam and is known for his writings on social, economic, and political reform. Read our latest update on his situation, here. Take PEN International’s action for Nguyen Ngoc Nhu Quynh (Me Nam), calling for her immediate release from prison, and Amnesty International’s Urgent Action to demand that Vietnamese authorities ensure that she has access to adequate medical care.